Exhibiting at Biotechnology Calendar, Inc. life science marketing events is the easiest way to meet hundreds of researchers in a short amount of time. Our events are only a short distance away from researchers’ labs and classrooms, making attending our events all the more convenient for attendees. We also provide free catered lunches, offering attendees a delicious incentive to stay through the whole event and network with exhibitors and others in their field. Georgetown University is a remarkably well-funded market that lab suppliers working to market life science solutions and university lab equipment may want to get to know better. Georgetown University was awarded $53.5 million by the NIH in 2012. In addition to receiving NIH funding, Georgetown University also received $6 million from the NSF in 2012. For more detailed funding information on Georgetown University, including the top five NSF-funded life science research projects and the best funded departments receiving money from the NIH, visit our company news article $57M in Research Funding at Georgetown University. By ensuring that the universities with which we organize life science marketing events are very well-funded, Biotechnology Calendar, Inc. events open the doors for exhibitors to hundreds of valuable leads interested in discussing their research and research needs. Exhibitors at our events are able to find out directly from researchers what products and services are missing from their research process. Your life science solutions and university lab equipment may be exactly what researchers at Georgetown University are searching for. Not only is this a good opportunity to market these products within a well-funded market, but Biotechnology Calendar, Inc. shows are an excellent way to conduct market research and discover new product and service opportunities that could be very profitable. 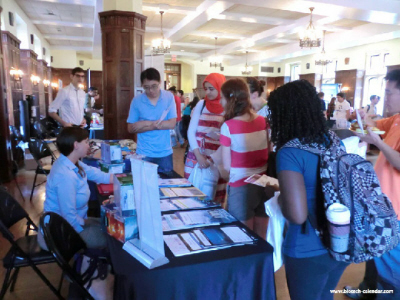 At the Georgetown BioResearch Product Faire™ Event, you’ll give researchers the opportunity to connect a friendly face with a product. Perhaps a Georgetown medical researcher was on the fence about deciding between your company’s product and a competitor’s product. Is your product’s price point more attractive? Researchers at Georgetown University will want to know how much they can save by doing business with you. If your product is of a better quality that will last longer or was made with environmental concerns in mind, Biotechnology Calendar, Inc. shows are a great opportunity to let researchers know. 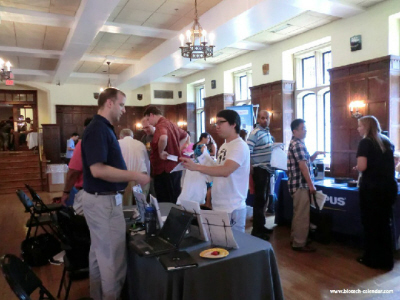 If you are a lab supplier and you’d like to market your university lab equipment and life science solutions to researchers at Georgetown University, Biotechnology Calendar, Inc. encourages you to attend our Georgetown BioResearch Product Faire™ Event on October 18th, 2013. Biotechnology Calendar, Inc. is a full-service science research marketing and events-planning company that organizes life science marketing events at top research institutions nationwide. For more detailed funding statistics on Georgetown University, or to learn more about the Georgetown BioResearch Product Faire™ Event, click on the button below.